We hear it all the time--this restaurant has shuttered, that restaurant will be closing its doors just after one year of operation. It seems to be the nature of the beast that is San Francisco. With a discerning clientele, ever-climbing rents, and an all-around uber-competitive landscape, it’s hard enough for seasoned restaurateurs with millions behind them to “make it” in this city. Despite this, there are gems scattered throughout San Francisco that have arguably less resources--less money, less manpower, and less experience. Family-owned and operated restaurants make up for what they lack in finances and pedigree with moxie, grit, and something that is hard to come by for many businesses: a type of camaraderie and trust that only comes with working with loved ones. Many of these family-owned restaurants tell a story of an older San Francisco, of businesses founded by immigrants who wanted to build a better future for themselves and their children; of those looking to share a part of their culture with their newfound American neighbors; and those who had a passion for food so strong, that not opening a restaurant wasn't a choice. Of course, there are many family-owned eateries in this city. This is just a sampling of family establishments that have remained despite the many changing faces of San Francisco and their stories: how did they start their concept, what obstacles did they encounter, and how have they remained so successful. What are your favorite places to have a "welcome home" meal in the city? Let us know in the comments. Inside the Beatles memorabilia-laden walls of Halu, you'll find some of the best yakitori (a Japanese chicken skewer dish) in the city, which shouldn't be surprising considering Halu was one of the only restaurants--if not the only restaurant-- in the Bay Area serving yakitori when it opened in 2008 in San Francisco's Inner Richmond neighborhood. 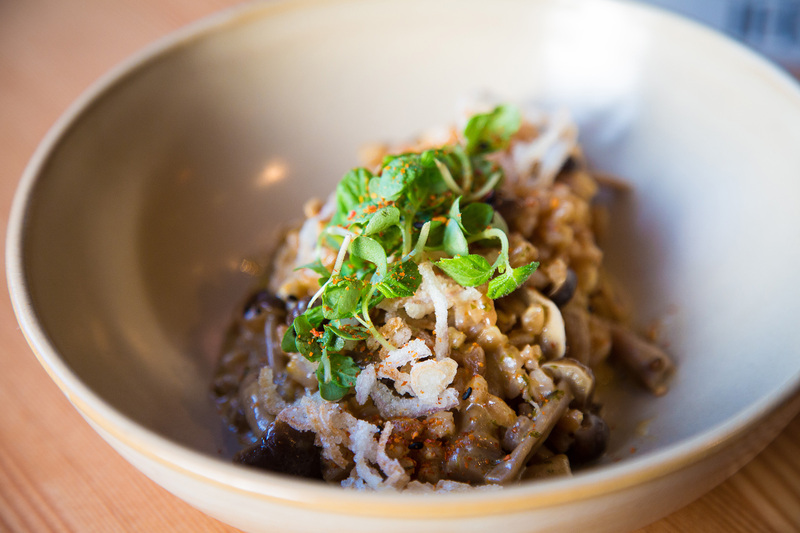 Halu was founded by a married couple from Japan who, given their professions, seemed to be unlikely restaurateurs. Shigemi and Mimi Komiyama, a musician and photographer respectively, didn't consider opening a place of their own until their love for the Bay Area music scene anchored them in San Francisco. It was at this point they realized they couldn't find yakitori in the States. 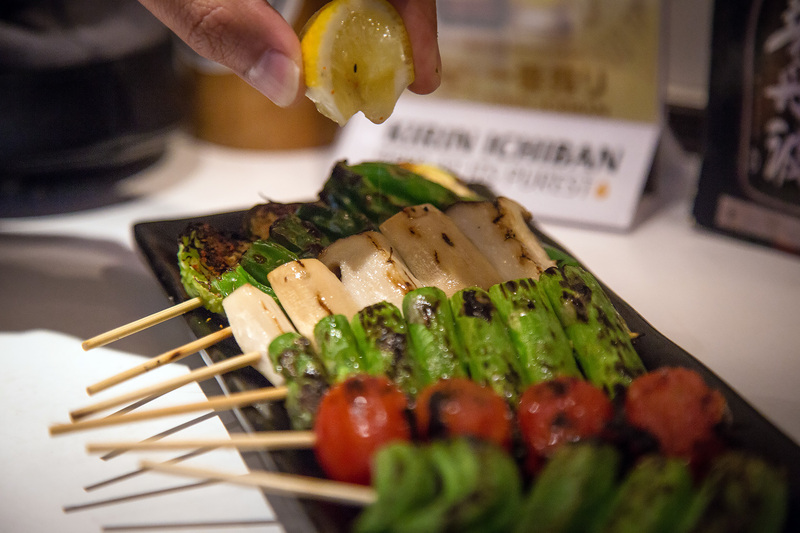 "People really knew sushi, but no one really knew about yakitori," Mimi said. 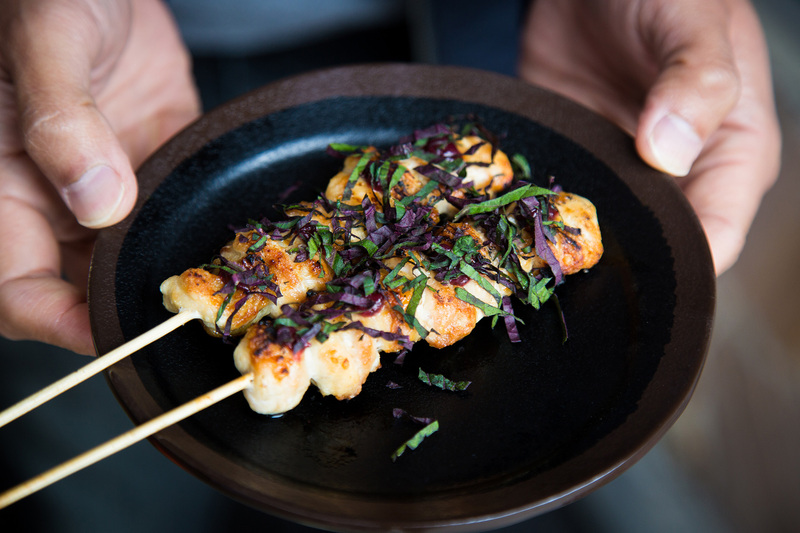 "So my husband and I decided, 'Why don't we propagate yakitori in the USA?'" Fortunately, before settling down in the Bay Area, Shigemi and Mimi attended culinary school in Japan to train in the art of yakitori as well as other Japanese cuisines. This culinary education was encouraged by Shigemi's mother, who paid for their tuition and is the namesake of Halu. 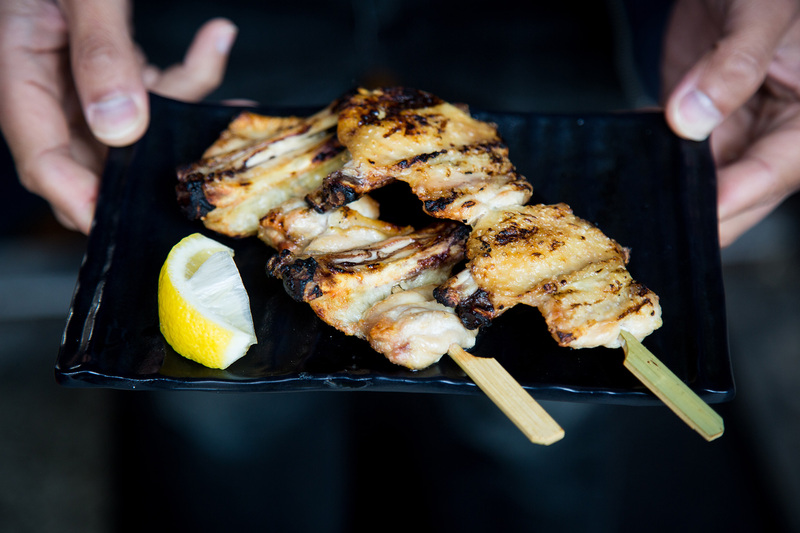 After attending culinary school, moving to the Bay, and spending a couple decades satisfying their artistic ambitions, the Komiyamas decided it was time to open up their own yakitori restaurant. 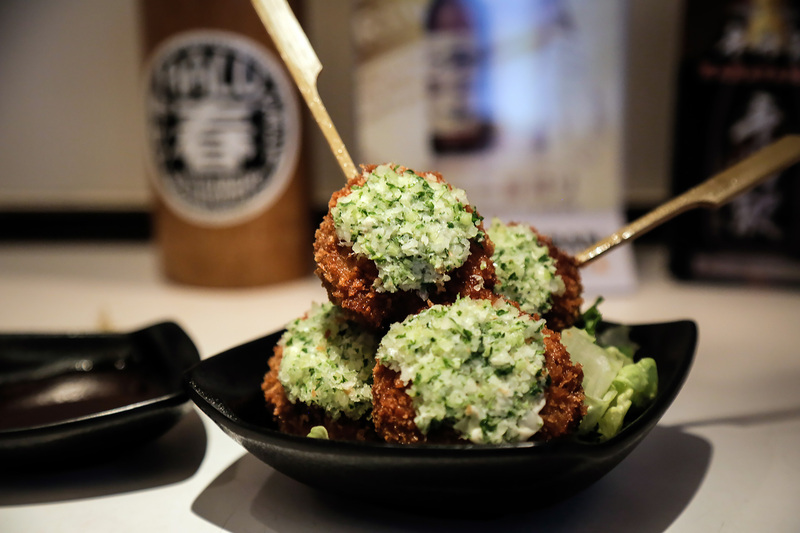 Frequented by local musicians, fellow restaurant owners, and adventurous eaters looking to try a new type of cuisine, the word of Halu's yakitori (as well as their ramen) started spreading. Shigemi and Mimi, and their twin daughters Erika and Sayaka came together to successfully run Halu and feed their growing audience. However, their success was not without difficulties. In 2014, Shigemi passed away. 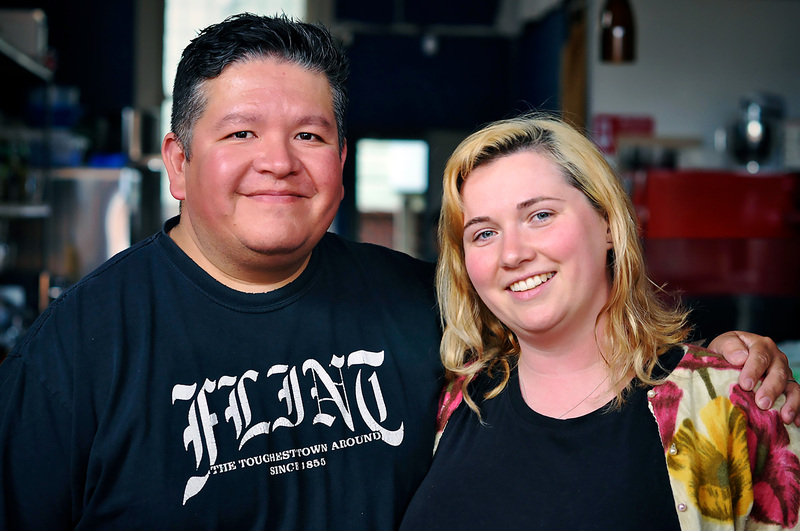 "Four years ago, my father passed away, and we were really thinking about shutting down the place," Erika said. "Eventually, we decided to stay." Shigemi's passing was particularly tough for Sayaka, who started out manning the ramen station at Halu while Shigemi handled the yakitori grill. When Shigemi passed away, Sayaka not only lost her father, but was responsible for taking over his position in the restaurant. "I think that's the most difficult thing for me," Sayaka said. "He taught me how to do everything that I know--the loss was really tough on me and the amount of prep work I had to do. I couldn't work fast enough. I would stay until three in the morning prepping for the next day. I would get frustrated that I can't work as fast as my dad." 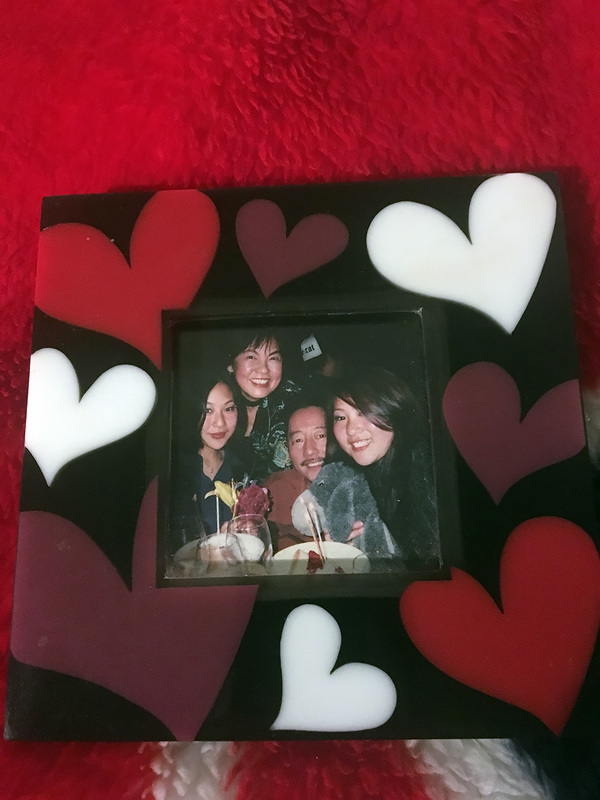 However, as Mimi explained, Sayaka has not only greatly improved over the last four years, but said there was something protecting the family--Sayaka had no plans of leaving the ramen station, but randomly decided to ask her father to teach her how to cook yakitori shortly before Shigemi passed. "It was so mystic. It was the right timing to learn something new," Sayaka said. And newness seems to be an appropriate theme for the family team. “Halu” in Japanese means “spring child.” As Mimi explained, springtime is a time of renewal in Japan; school starts, businesses reopen, the cherry blossoms bloom. It is also the time of year Erika and Sayaka were both born. With 10 years under their belt, Sayaka and Erika have taken over day-to-day operations, hoping to give their mother a bit of a break. While there are no immediate plans to expand, Erika says somewhere down the line, they might want to change Halu to a strictly yakitori concept and have a separate operation for their ramen. For now though, the family is perfectly happy with Halu just the way it is. "Ten years ago in the entire Bay Area, [there were] maybe only two or three yakitori restaurants. Now after 10 years, maybe 30 or 40." Mimi said. "My dream came true. 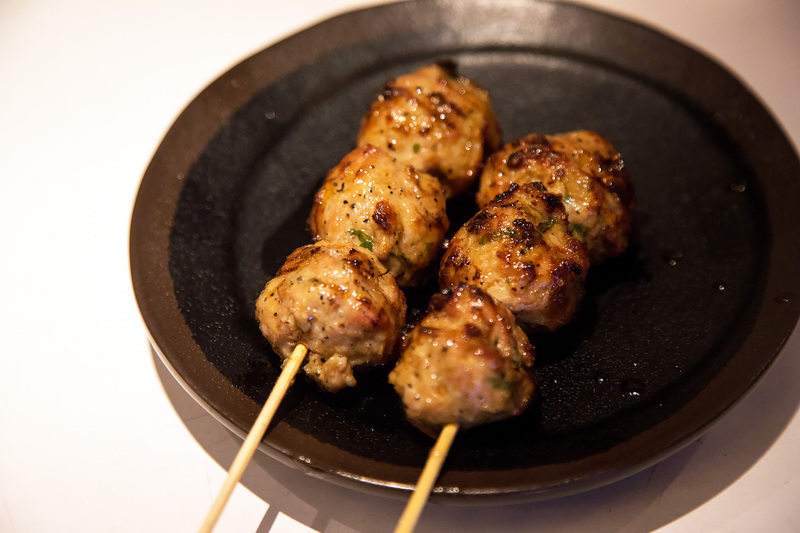 American people started to get to know yakitori." 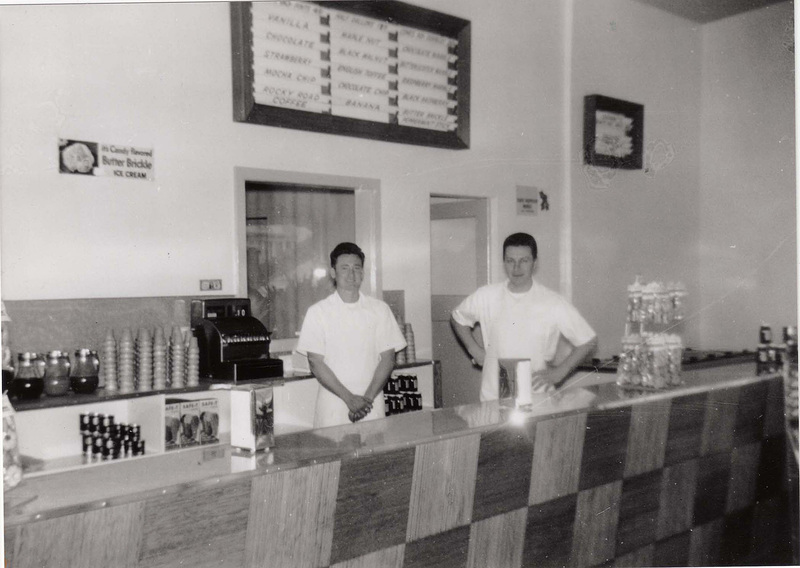 Larry and Jack Mitchell opened Mitchell’s Ice Cream in June 1953. Since the early 1990s, the day-to-day operations were led by two of Larry’s children, Brian and Linda. In 2016, Larry sadly passed away, leaving Brian and Linda to carry on the Mitchell's legacy. 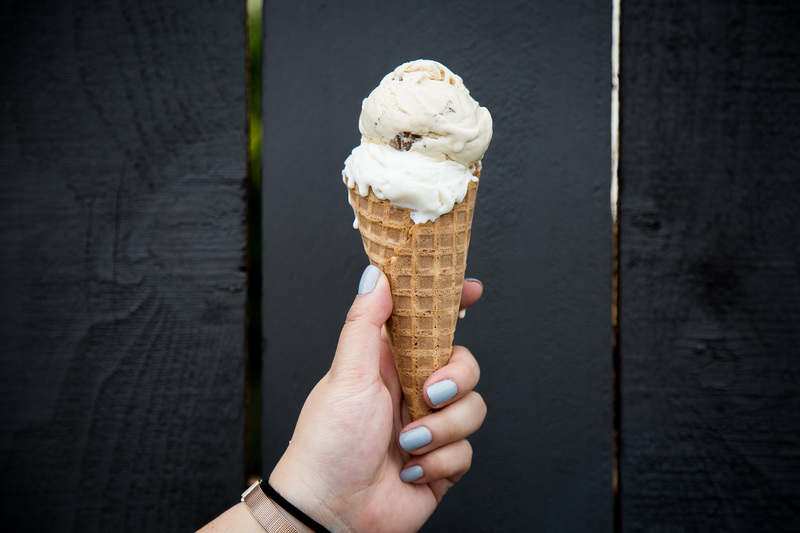 But before the Mitchell’s Ice Cream as we know and love it today opened, the Mitchell family had already planted roots in the Bay Area since the mid 1800s--in the form of a dairy. On 29th and Noe, there was a Mitchell Dairy, owned by Brian and Linda’s great-grandfather. After he passed away in the late 1800s, their great-grandmother eventually closed the dairy and sold off parcels of land in the early 1900s. Years later when Larry and Jack were born, they clearly already had the dairy business in their blood. 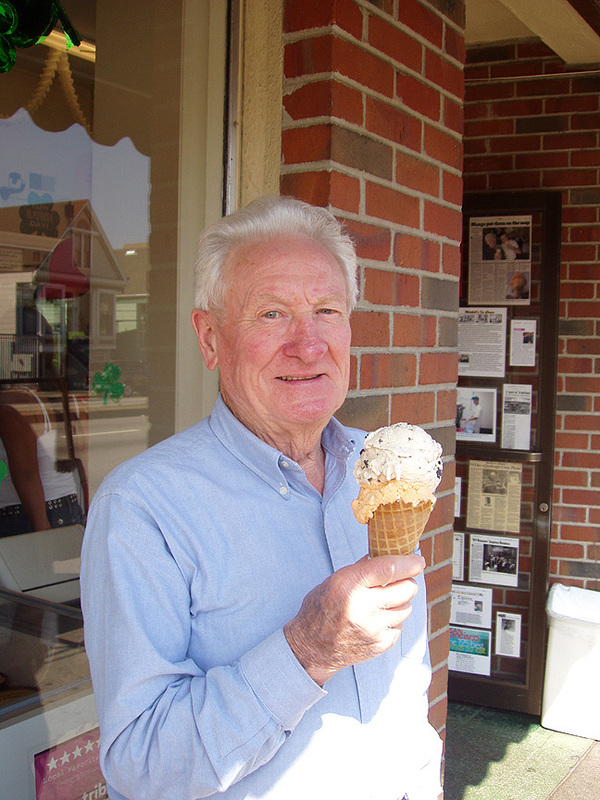 Larry was a lieutenant in the fire department and Jack was an electrician, and both brothers had a strong love for ice cream--particularly for a shop in the 1940s called Garrett’s. The brothers wanted to make ice cream that was just as good. Finding a vacant storefront, the brothers built their own walk-in freezer and worked closely with the dairy from which they got their milk and cream from to begin Mitchell’s with about a dozen flavors. 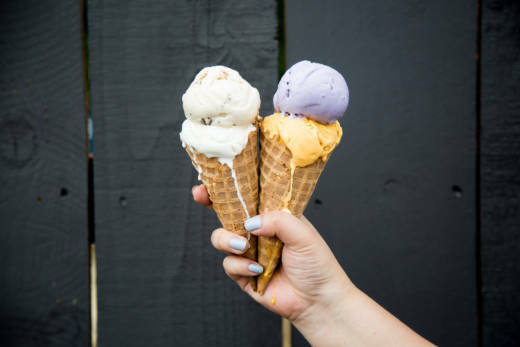 As Brian explained, dairies in the past were a lot more involved with the ice cream-making process, assisting with ingredient sourcing, recipe development, and even providing marketing collateral. In 1965, over a decade after Mitchell’s opened, Larry and Jack began importing mangoes from the Philippines, which gave way to also importing other current Mitchell’s staples like ube (a type of purple yam) and macapuno (a fruit similar to coconuts). These tropical flavors opened up a completely new fanbase for Mitchell’s, which was launching these ice creams around the same time many people were immigrating to the U.S. from the Philippines. 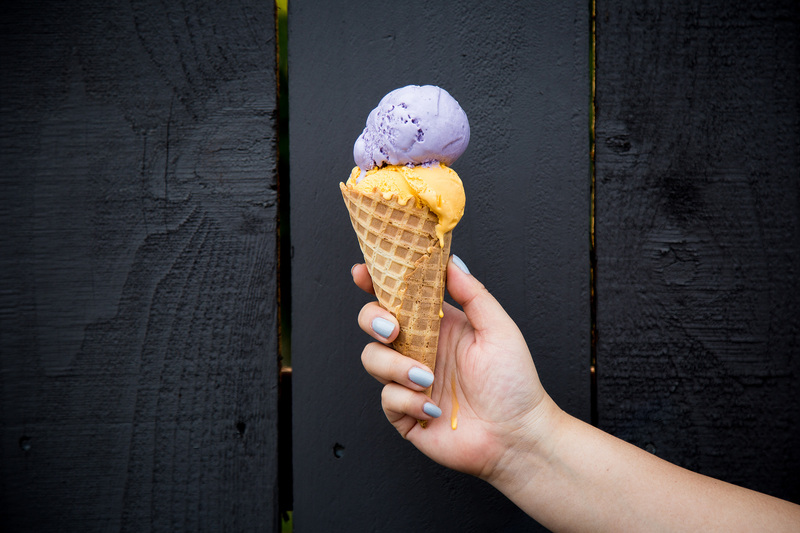 Now, the Mitchell’s menu has expanded to about 40 flavors at any given time--with mango, ube, and macapuno consistently reserving spots on the list. Being in business for over 60 years, with no signs of slowing down, Brian says a lot of their success is owed to the quality of their ingredients and ice cream, being consistent, and really becoming part of the community. He mentioned their Filipino fanbase continues to be some of their most enthusiastic, as many of them bring relatives visiting from the Philippines to Mitchell’s right after landing at the airport. What’s the future hold for Mitchell’s? “We plan on just staying put,” Brian said. 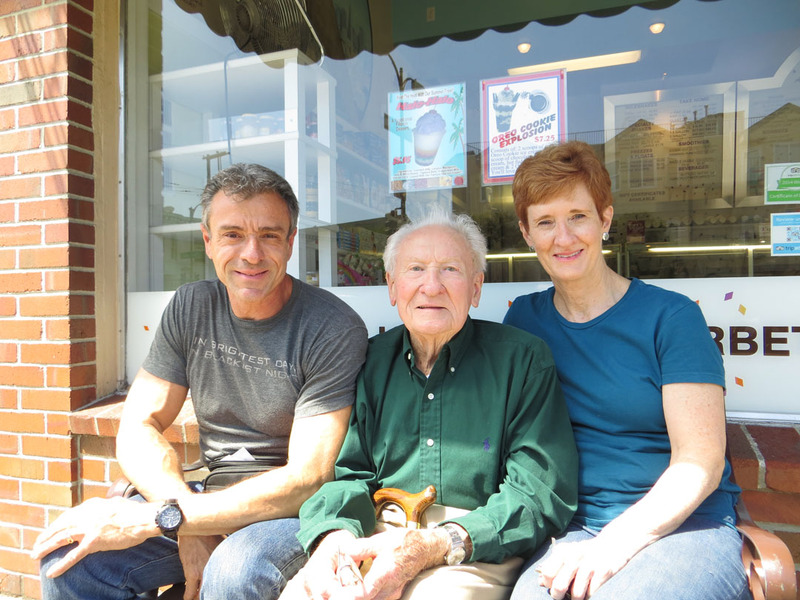 As Mitchell’s continues to thrive, along with its wholesale business to other local restaurants and grocers, Brian and his sister plan to keep Mitchell’s the classic San Francisco ice cream institution it has been for so many decades already. This June is Mitchell's 65th anniversary! 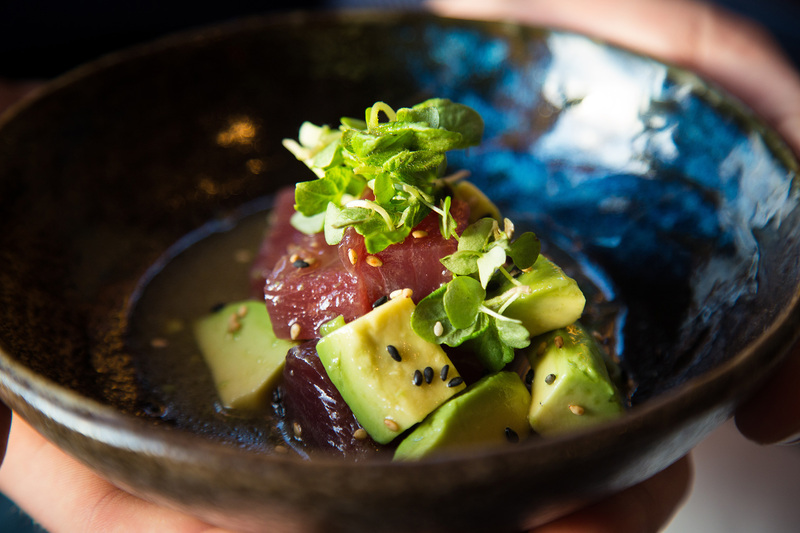 ICHI Sushi has its beginnings rooted in 2006 when it was originally a one-person catering company founded by Tim Archuleta--who had been a sushi chef for many years prior to starting ICHI. Although “Ichi” in Japanese means “one,” Tim did have help from his then-girlfriend, and current wife, Erin, who would help Tim out by writing labels for his sushi. Serving up his sushi to tech companies like Google, LinkedIn, and YouTube, ICHI was expanding quite quickly until 2008 when the recession hit. ICHI lost nearly all of their corporate catering accounts within a couple weeks. Tim and Erin then decided to change the model of ICHI, doing pop-ups and social catering. They eventually would become part of the 331 Cortland food incubator program, where they would lay the foundation for what would become ICHI Sushi as we know it today. After raising the necessary funds, ICHI Sushi opened in September 2010 (after Tim and Erin tied the knot in 2008). Their location in Bernal Heights also used to be a sushi restaurant and when the owner decided to close it, he reached out to Tim and Erin, with whom he had become friends and gave them first dibs on the space. 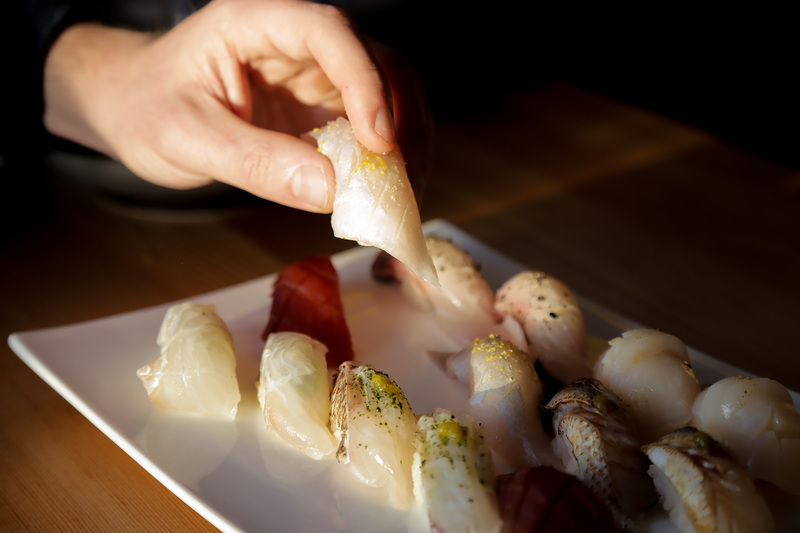 Serving traditional Edo style sushi, ICHI is famed for its simply-done yet flavor-forward approach to nigiri. As Tim explained, each piece of fish is seasoned to complement the natural flavor of the fish--no soy sauce or wasabi necessary. “My dream was for people to really understand what sushi is,” Tim said. He would later explain that he didn’t have his first taste of sushi until he was already working in kitchens while living in Santa Cruz and said it was love at first bite. Beyond the food, Tim and Erin agree that people come for the experience--the loud music, the casual and jovial atmosphere--eating a good dinner almost becomes the byproduct more than the main intent. “We want people to have fun,” Tim explained. As a fixture in the neighborhood, and a destination for celebrities and San Franciscans alike, one of the toughest things for ICHI was the Japanese earthquake in 2011 which devastated many parts of the country. With 80% of ICHI’s fish being sourced directly from Japan, Erin and Tim had to be really careful with how they would move forward with sourcing. With that, as tastes and the restaurant scene itself changes, Tim and Erin emphasize the need to remain consistent. 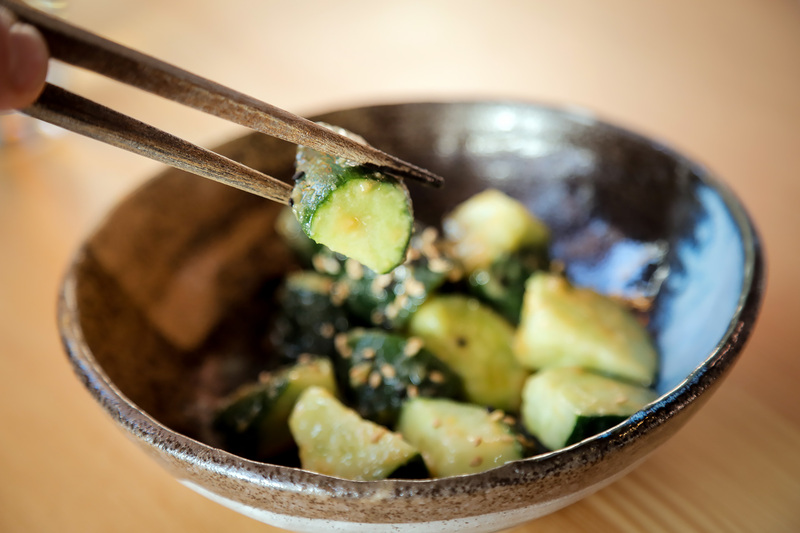 After a stint in a larger space down Mission Street, before returning to their original smaller location, Erin said their current space feels like a “sushi living room,” and she and the rest of the team always want to deliver on that intimate dining experience. 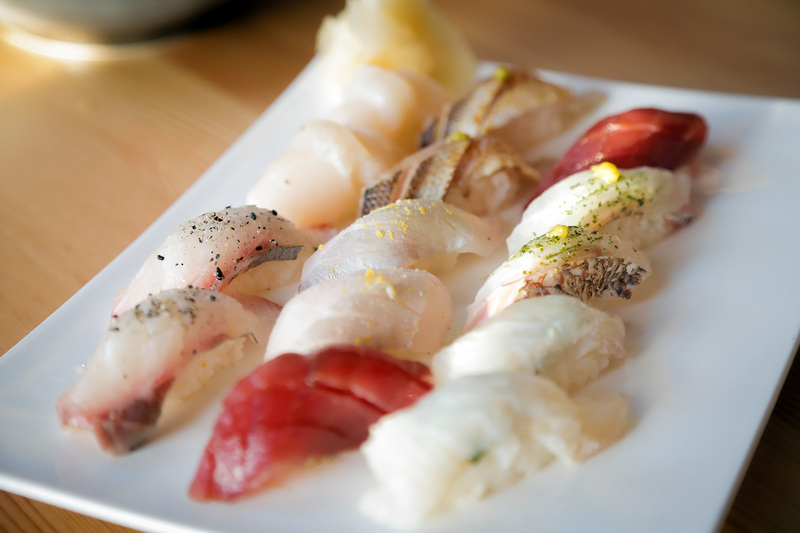 And with eight years of sushi-stardom, Tim, Erin, and general manager Amy Kunert all agree that a huge component of their success is the Bernal Heights neighborhood itself and their dedication to the citizens and the business owners in the area. Helmed by husband and wife Massimiliano Conti and Lorella Degan, Massimiliano leads the La Ciccia kitchen while Lorella manages front of house. 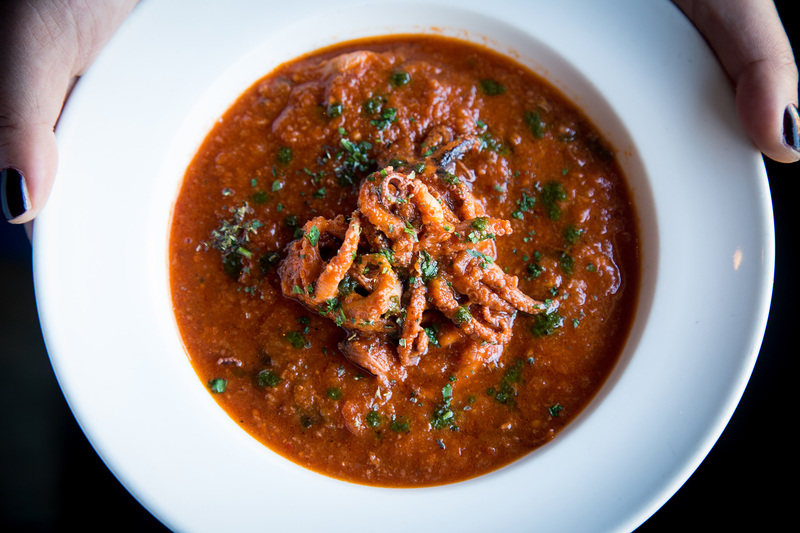 After over a decade of successful business, Lorella says La Ciccia is a humble restaurant, whose sole focus is providing good food. Massimiliano and Lorella originally moved to Washington, D.C. from Italy in the early 1990s, and would later move to San Francisco. Massimiliano is originally from the island of Sardinia and Lorella is from an area just outside of Venice. Both had been to San Francisco before, loved the food scene, weather, and for Massimiliano particularly, the proximity to water. 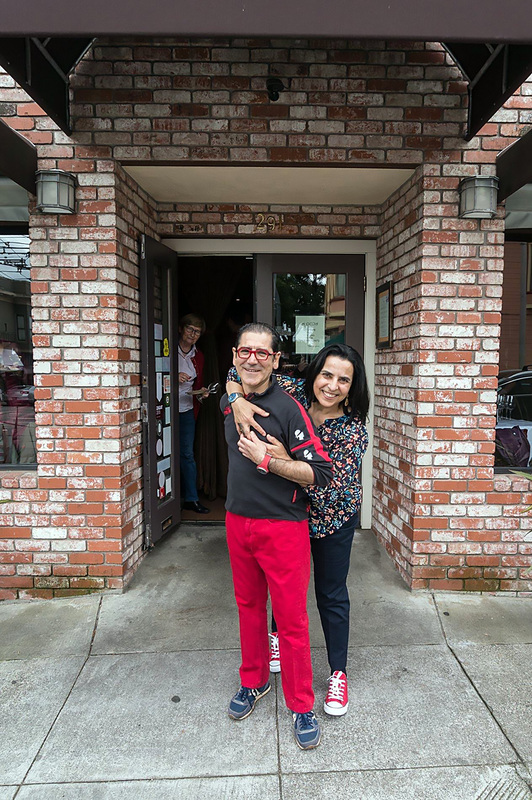 Massimiliano and Lorella shared a love for food and worked in the food and wine world when they first moved to San Francisco, but they never intended to work together. But their mutual “little dream” as Lorella put it, brought them together to create a place to showcase the food of Sardinia. As Lorella explained, Sardinian cuisine is straight-forward--letting the main ingredients in a dish shine. Historically, Sardinian food, despite originating from an island, used mostly cured meats (namely pork) and veggies. 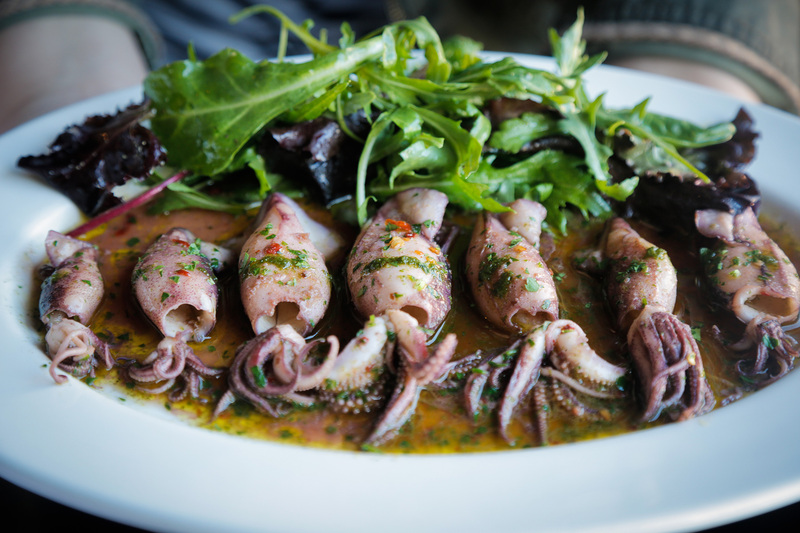 It was not until the people of Sardinia started venturing to the island’s coast that more seafood was introduced to the Sardinian diet. Now, La Ciccia sources a large amount of their ingredients right from Sardinia, including cured tuna heart and bottarga, a cured fish roe usually from a grey mullet. 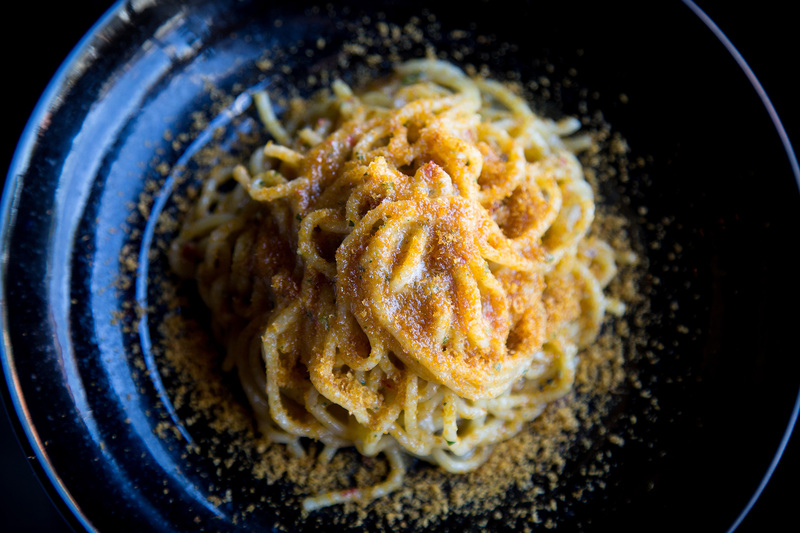 Bottarga has become a main component of one of La Ciccia’s most popular dishes--their fresh spaghetti with bottarga--which is grated over the pasta, mimicking the look of gold flakes. 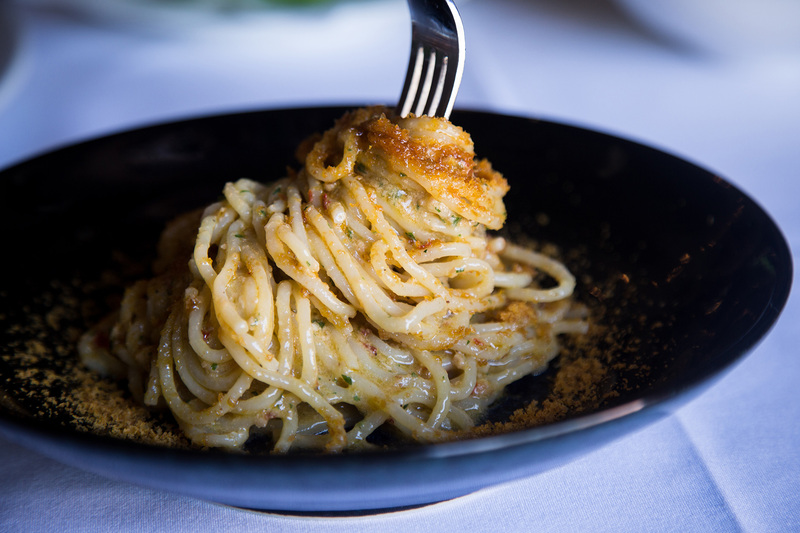 “The dish is so popular that some people will order the pasta for their main course and ask to have it for dessert as well,” Lorella said. La Ciccia -- which roughly translates to an Italian term of endearment meaning “baby fat”-- celebrated their 12 year anniversary earlier this month. But she also says that she is lucky to live her dream with her husband daily. 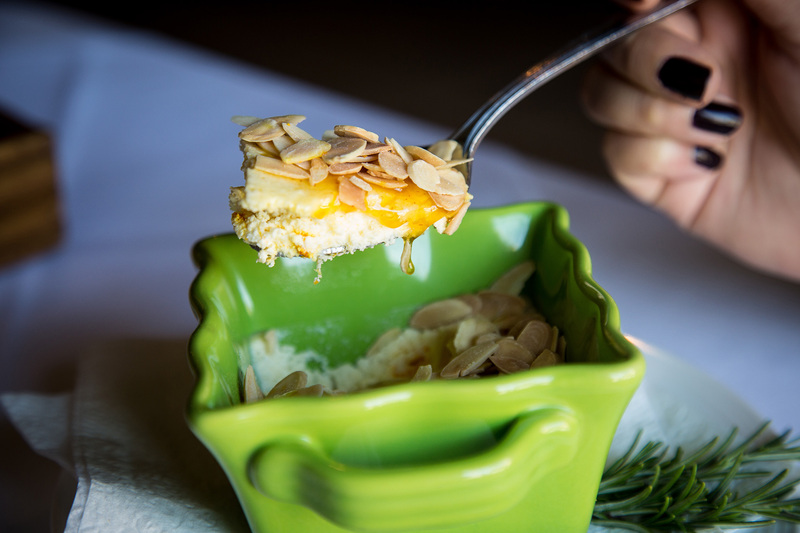 As La Ciccia has built a loyal and ever-growing clientele, Lorella says that she has seen shifts in who is coming to the restaurant to enjoy their food. The neighborhood, she added, has transitioned and includes more people who have moved in to work at the large tech companies like Facebook and Apple. Despite any changes, though, La Ciccia still remains one of the mainstays in the city for Italian food. Lorella says there’s no immediate plan to expand La Ciccia, or if she and her husband will ever want to start something new down the line, but she said if that ever happened, it would still definitely involve food. 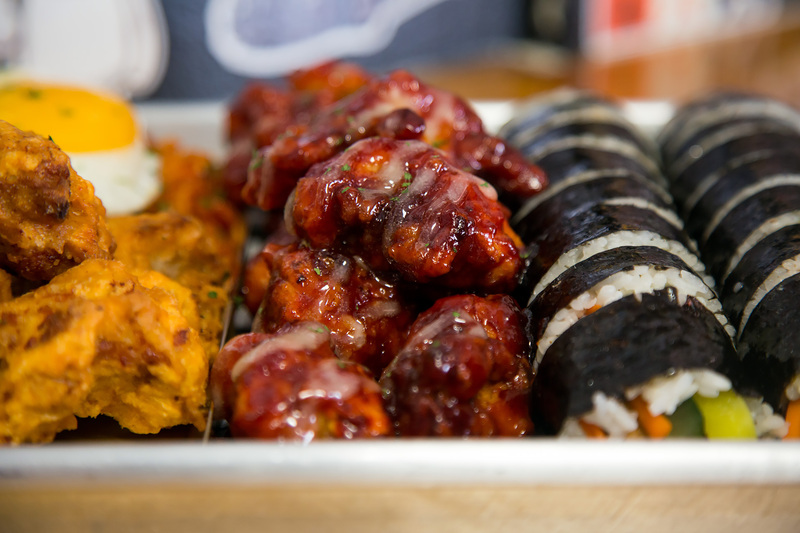 Nestled in a hole-in-the-wall in the Tenderloin, ARIA has become a popular destination for Korean fried chicken and other traditional Korean street food including kimbap (Korean rice rolls) and tteokbokki (spicy rice cakes). Opened by a husband and wife in 2012, their son, Charlie Kim, later joined his parents (after attending UCLA) to help operate the grab-and-go restaurant. Their entire family had been working in the food world far before opening ARIA. Charlie said his paternal grandparents operated a dumpling house in Seoul while his maternal grandparents ran a North Korean-style breakfast and lunch spot in Seoul as well. When his parents married, his mother was also running an American steakhouse outside Seoul, before moving to the U.S. 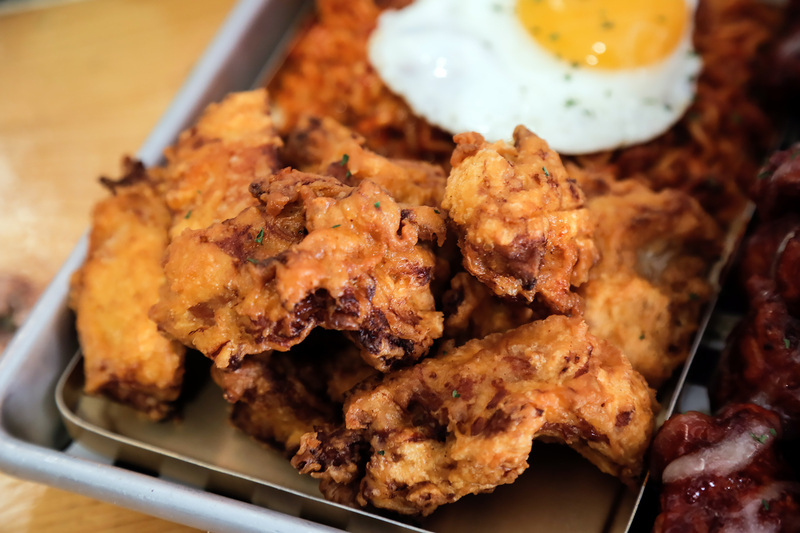 Originally an ailing fish and chips restaurant run by Charlie’s uncle, Charlie’s mother decided to open ARIA after noticing that Korean food in San Francisco was quite expensive and focused on dishes like pancakes, japchae, and stone pot. “Our family wants to offer more of a variety of street food,” Charlie said. Charlie assisted his parents in operating ARIA while he was a sophomore in college and returned full-time in 2016 after graduating from UCLA and working in marketing in Los Angeles. One of the bigger struggles was consolidating the menu and revamping the physical space in the restaurant itself. Both things that Charlie and his parents did not see eye to eye on. 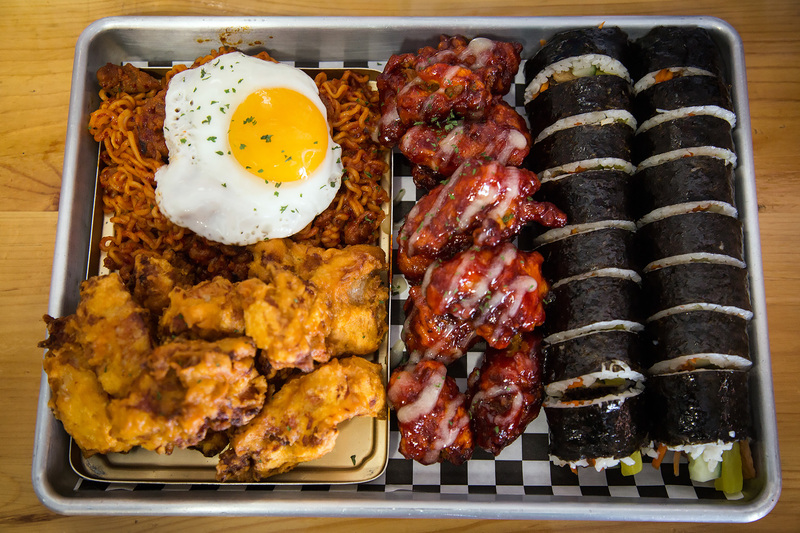 Eventually, the family moved to hone in on the grab-and-go concept, eliminating many of their tables and chairs and focusing the menu on their popular Korean fried chicken. Charlie would also put ARIA on the social media map, infusing their street food menu with street culture on Instagram. While working with local Tenderloin artists, ARIA was eventually contacted by local hip hop musicians, streetwear designers, artists, and media sites for collaborations. 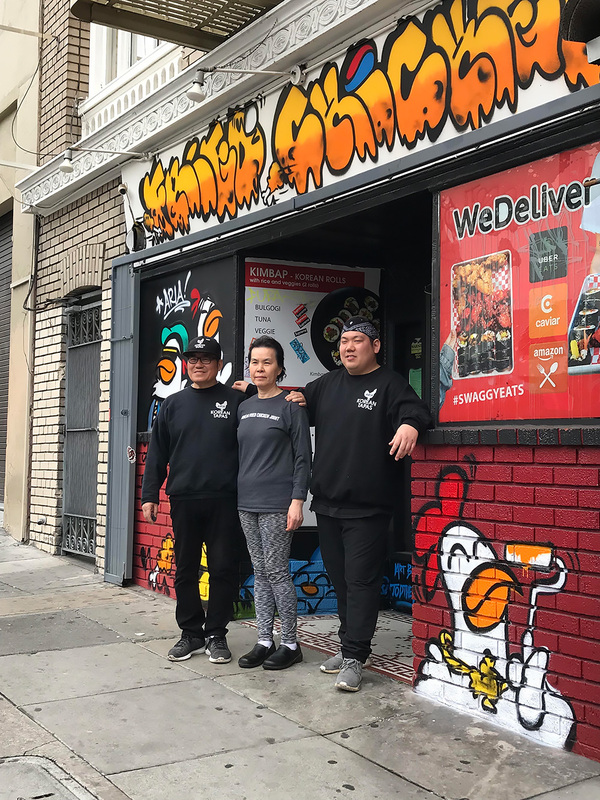 Despite consistently selling out of their fried chicken, Charlie says he can’t say if he thinks ARIA is successful, but he said that they are continuously working towards making a name in the street food game. Charlie said that he has received requests to open ARIA locations all over the U.S., including New York, LA, and Texas. For now, though, Charlie said a second ARIA location is on the way in the Bay Area and will be announced in the next couple months.